Coppell Middle School eighth grader Graham Gorman goes to the First United Methodist Church auditions for their annual musical, this year’s being “Beauty and the Beast”, in the main church sanctuary on November 30th. Gorman sings “I Think I Got You Beat” from “Shrek the Musical Jr” for directors Emily Baker and her daughter Erin Baker in the smaller choir room. The silence in the chapel is pressing. The back rows are dotted with students of varying ages on their phones or speaking in hushed tones with their parents. The kids are waiting for their auditions for the First United Methodist Church of Coppell’s production of “The Beauty & the Beast”, which will be on Feb. 28 and Mar 1 and 2. Set and lighting designer Sylvia Pollard announces the audition process. Coppell Classical Academy seventh grader Anna Head is one of the young singers and actors who plans to audition. She speaks a little bit louder as more people start talking. “Since we don’t have choir [at Coppell Classical Academy], I do choir at the church,” Head said. Head said she wants to audition for the chorus, as she did last year; she had been singing for a long time. When she walked into the audition room, the judges, Emily Baker and her daughter Erin gave an enthusiastic welcome. “You sang with us last year, we’re so glad to have you back,” Erin said. 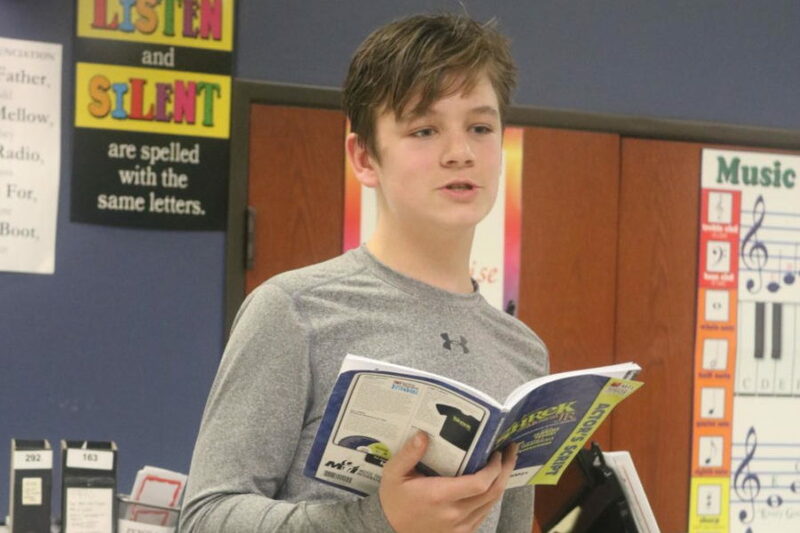 The atmosphere was positive and inviting; Coppell Middle School North eighth grader Graham Gorman started singing the song “I Think You Got Beat” from “Shrek the Musical, Jr.”. When he got to the lyric, “You’re just whiney, I had a flaming hiney”, the judges laughed—twice, since Gorman started over once in the middle. Emily and Erin have been a part of these team doing the shows for a long time. Emily has been directing the shows for almost 16 years now. Erin participated in the shows through her seventh and 12th grade years, and has been the vocal coach for three. “We like these shows because of how fun it is to do it with the kids, especially the Disney ones,” Emily said. The students were diverse in every way. Some were long-time veterans of theater such as Prestonwood Christian Academy freshman Faith Lee, who has been acting since fourth grade. 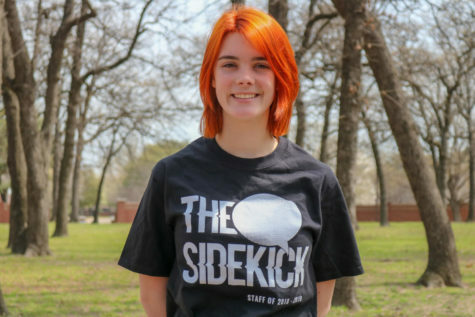 Lee has been doing numerous summer programs and even attended the Thespian Festival this year at Gaylord Texan Resort. She has been singing for her entire life. “I found my kind of music when I discovered musical theater,” she said. 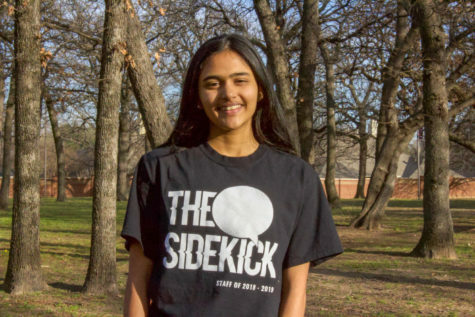 Others, such as Coppell Middle School West seventh grader Akanksha Subbaro, were new to singing but not new to music. “I participated in a musical last year, and I’ve been taking voice lessons since last summer,” Subbaro said, although she has taken piano lessons for eight years. She is also a part of the band and says percussion has helped her learn rhythm easier in her singing. “I know for sure in high school I want to pursue band and I’m trying my best to participate in all the theater events going on,” Subarro said. This confidence and positivity is reflected in the directors who put together the show every year. For example, as part of the auditions, small groups of students were asked to follow choreographer Whitney Bollinger in following a short series of steps. “You’re all professionals!” she exclaimed after a run-through of her choreography. Pollard appreciates the production for the many roles it offers young actors. “The story’s fantastic, and Belle’s a good role model for young girls,” Pollard said. The story of Beauty & the Beast has captivated audiences for centuries and found its way through the pop culture of the 21st century. Even now, people admire the story—as portrayed popularly by Disney—for the way that it conveys its theme of love and happiness. The team is looking forward to the challenges of the show. One example is in one of the show’s last scenes, where the Beast must transform and float in the air. Bollinger and Pollard kept under wraps the details of how they planned to accomplish this.